Laveen Veterinary Center Pet Vet & Clinic is an AAHA certified, full-service cat and dog clinic. From preventive physical exams to keep your four-legged friend healthy and happy to advanced orthopedic surgery and digital radiology, Laveen Veterinary Center offers a broad spectrum of veterinary care. Proudly serving Laveen, South Phoenix and South Mountain areas of Phoenix, Arizona with high quality veterinary medical care, Laveen Veterinary Center is owned and operated by Dr. Evan Ware and is an affiliate of University Animal Hospital in Tempe, Arizona. Our team is committed to keeping your pets healthy year round through preventative care, nutritional plans and education about your pet’s health. 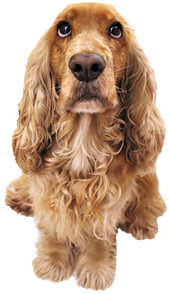 If a medical problem does arise, we have the experience and latest advances in veterinary technology to diagnose and treat common as well as complicated issues. You can rest assured that every step of the way our animal patients are treated with love, care, and compassion. With a Doctorate in Veterinary Medicine from Ohio State University, Dr. Ware grew up in Cleveland, Ohio and was known in the neighborhood as a young man as the go person when issues with animals came up. With a passion for pets at an early age, becoming a Veterinarian seemed like a natural step followed by the desire to have a career that he loved, it all fell into place when he chose to become a veterinarian. Dr. Naig relocated from Iowa to Arizona in 2007 after graduating from Iowa State University. Growing up on a farm fueled her desire to become a Veterinarian. With interest in canine behavior, internal medicine, ultrasonography and surgery she truly understands the important role that pets play in people’s lives which is a perfect fit as every team member at Laveen Veterinary Center is passionate about treating your pet as we would our own. Nothing says understanding more than those who share your passion and utter respect for your animal. At Laveen Veterinary Center we too have pets. From kittens and cats to puppies and dogs we bond as tightly with our furry family members as you do which gives us a keen understanding of the deep bond that is formed. When things go awry, and your dog or cat just isn't acting as they usually would, you can count on the veterinary team at Laveen Pet Vet & Clinic. Our state of the art dog and cat hospital is clean, comfortable and we offer a large spectrum of care. From pet education for new puppy and kitty owners to preventative exams and senior care, the team at Laveen Veterinary Center is committed to providing personal attention to the unique concerns of each pet owner. Every Client. Every Patient. Every Time.